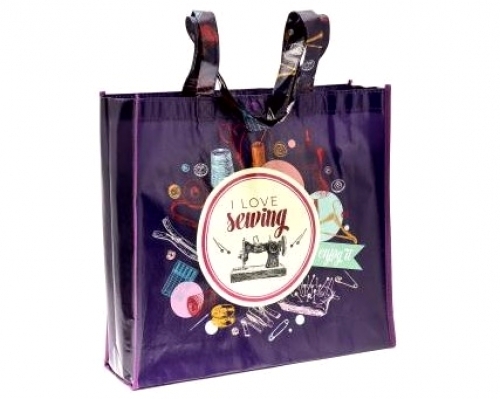 Multi-purpose shopping tote in PP glossy finishing. Perfect for general storage. Color matched shoulder strap and snap fastener. Size: 38cm x 35cm x 10cm (15" x 13.75" x 4").